Blog > Backyard photography > Breaking News! Breaking News! 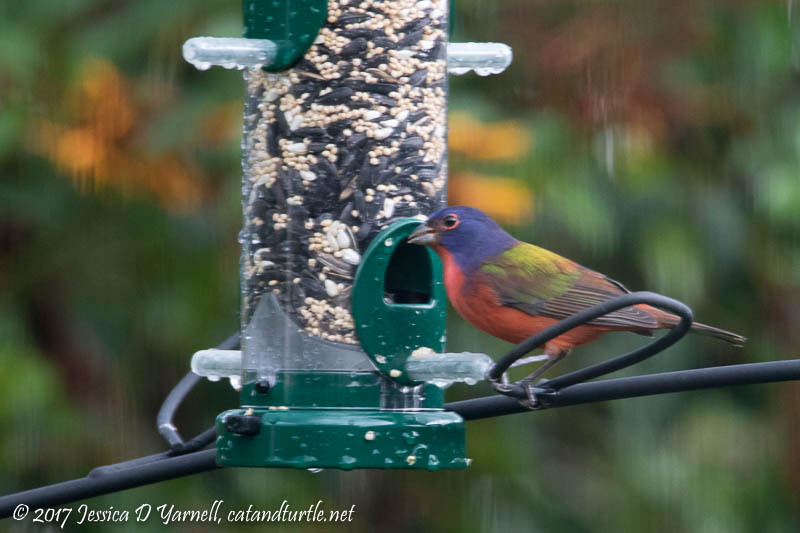 Our First of Fall Painted Bunting arrived in our yard this afternoon! Time to get out the bunting cage and stock up on millet! I just bought a new caged feeder and millet mix for the Painted Buntings this year too. Love seeing your pics! That’s great, Susan! I’m sure your buntings will appreciate their new feeder. Do you find one brand or type of food attracts them more? Millet. Either plain millet or millet in a mix. I get mine from Wild Birds Unlimited. I’m using a millet mix too. Thank you!